The capacity is now limited. That gives you the possibility to store woodchips and burn them bit by bit. There is now also a reason to regularly chop wood. 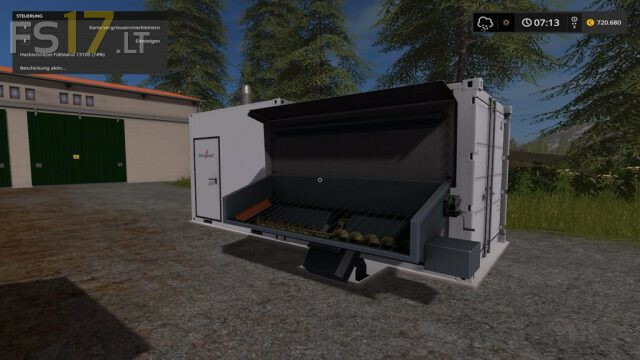 In addition, it can now also be worthwhile to use more than one placeable heatplant for handle a bigger amount of woodchips. As a compensation you get a little more money through the operation of the heatplant than with the regular sale. The capacity was set to such a value that it must be filled once a day and after 3 feedinghours a small remainder is left in the bunker. Bug that is responsible for equal fruit-prices on dedicated server fixed.